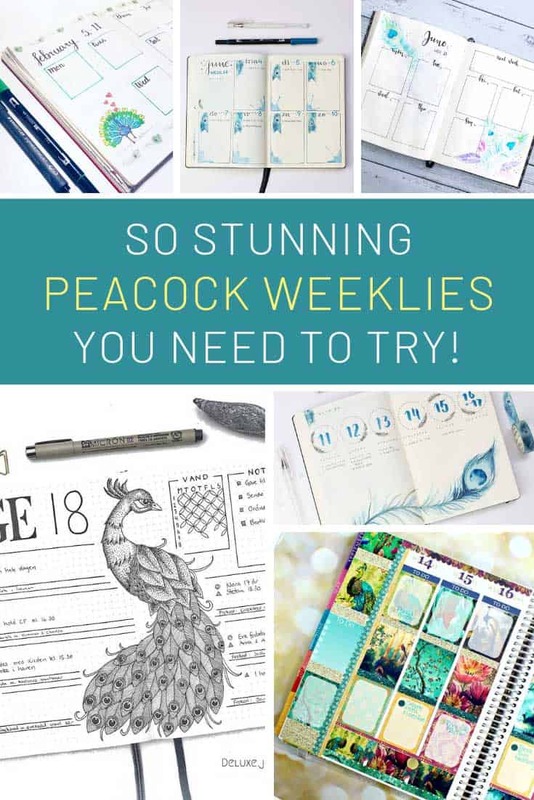 Don’t miss these fabulous peacock bullet journal weekly spreads – you’ll want to try all of them we promise! 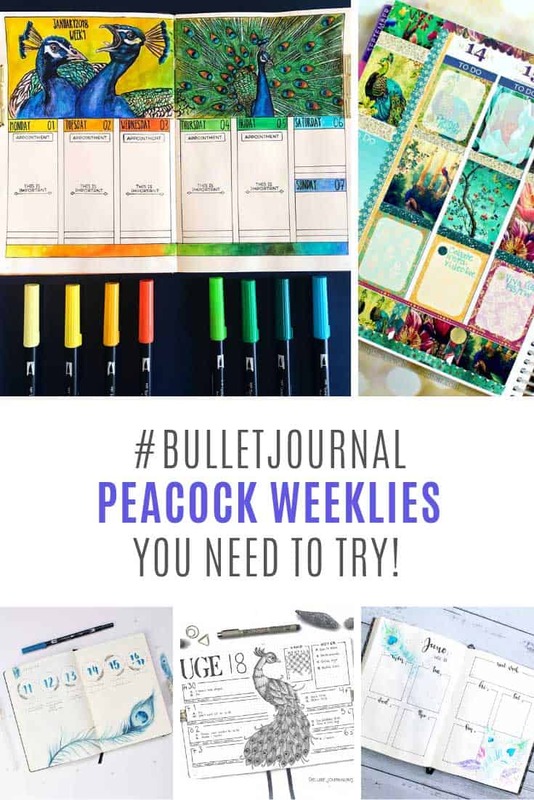 Next week why not go all jewel tones and feathers in your bullet journal with a peacock weekly spread? 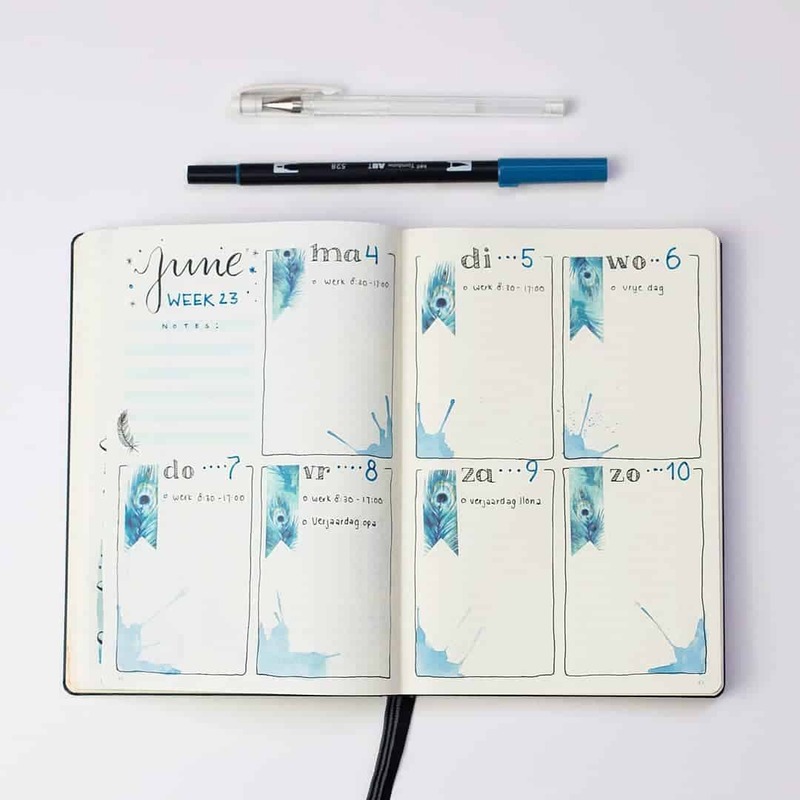 I’ve found 7 super creative spreads to inspire you, with a mix of doodles, illustrations, watercolors and of course good old stickers and washi tape! Wow! The peacock illustrations in this banner are stunning! 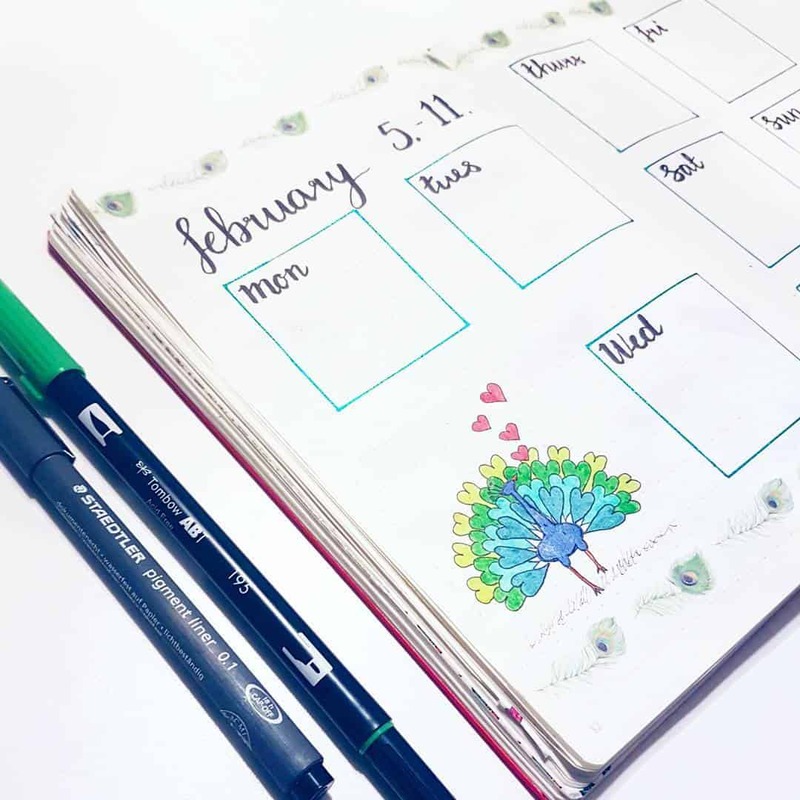 So much color and the perfect way to brighten up your weekly spread! 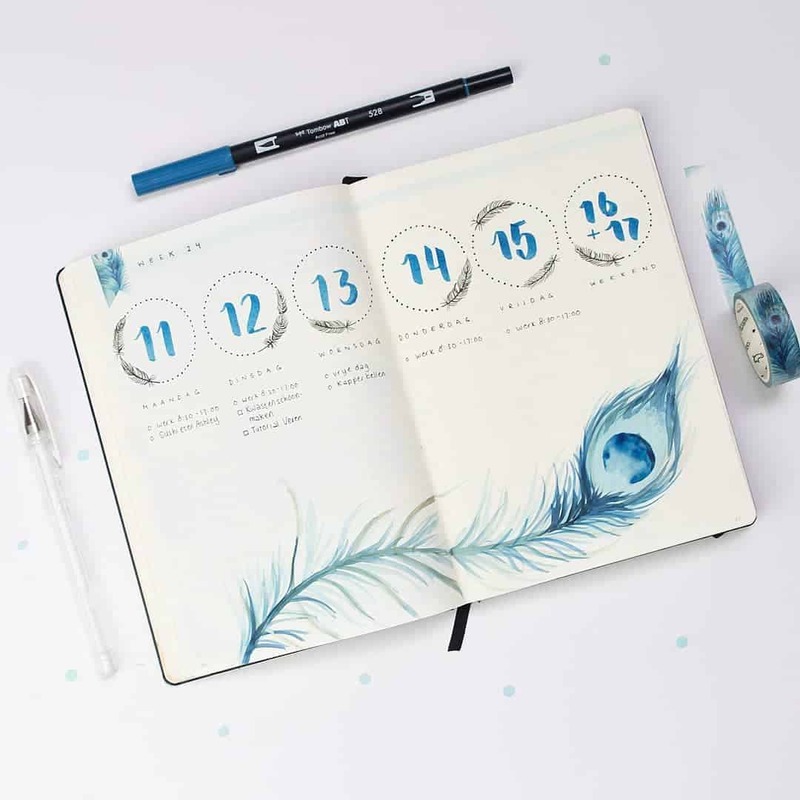 For something a little more subtle try adding some watercolor feathers as accents to your weekly spread. Or how about adding some peacock “flags” to each day of the week. 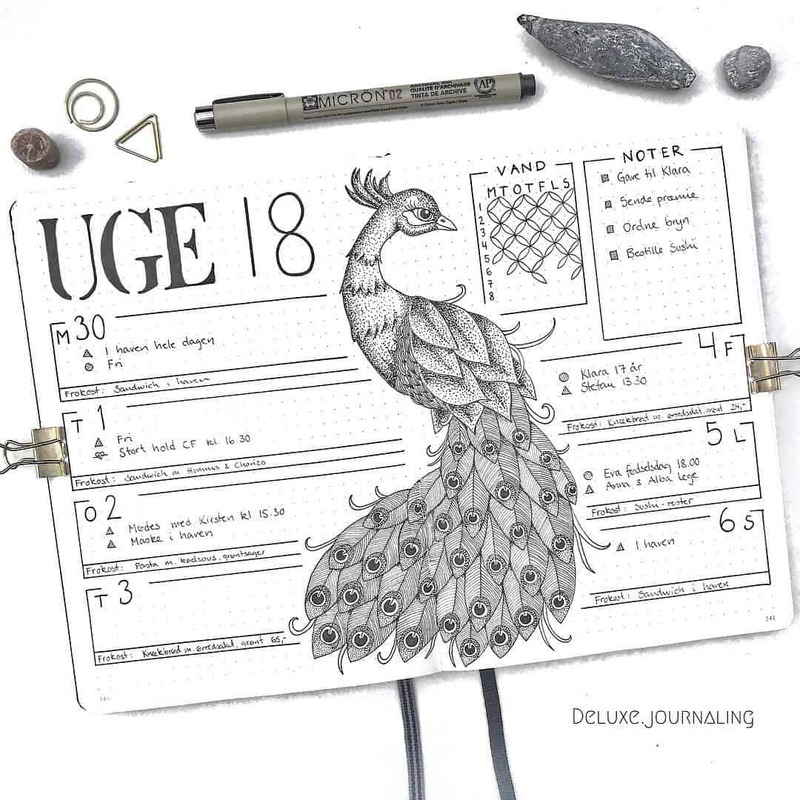 You could draw them, use your tombows to add watercolor, or use some peacock washi tape! How sweet is this little doodle peacock with her heart shaped tail feathers! When we think peacock we think gorgeous jewel colors, but actually this spread is even more striking because it’s in black and white! 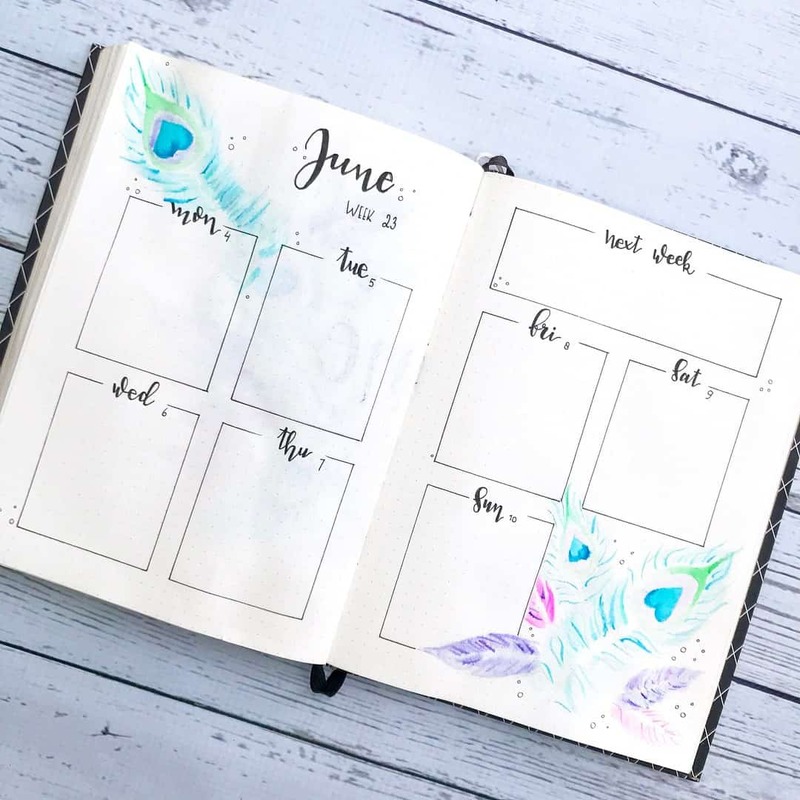 I think this weekly spread is my favorite, I just love the simplicity of that beautiful watercolor feather. 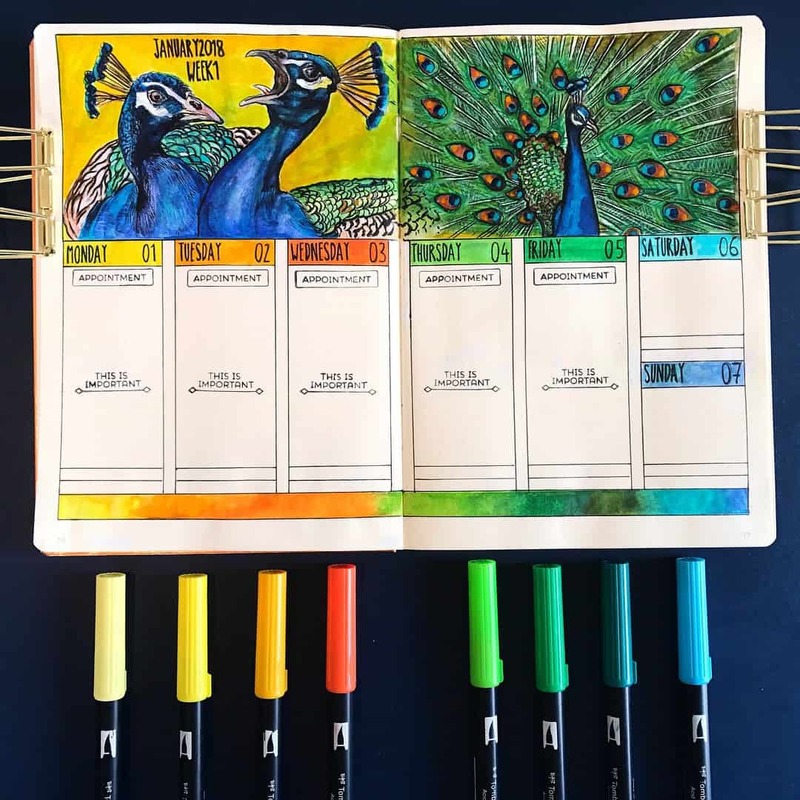 You don’t have to draw or paint to create a stunning peacock weekly spread in your journal. 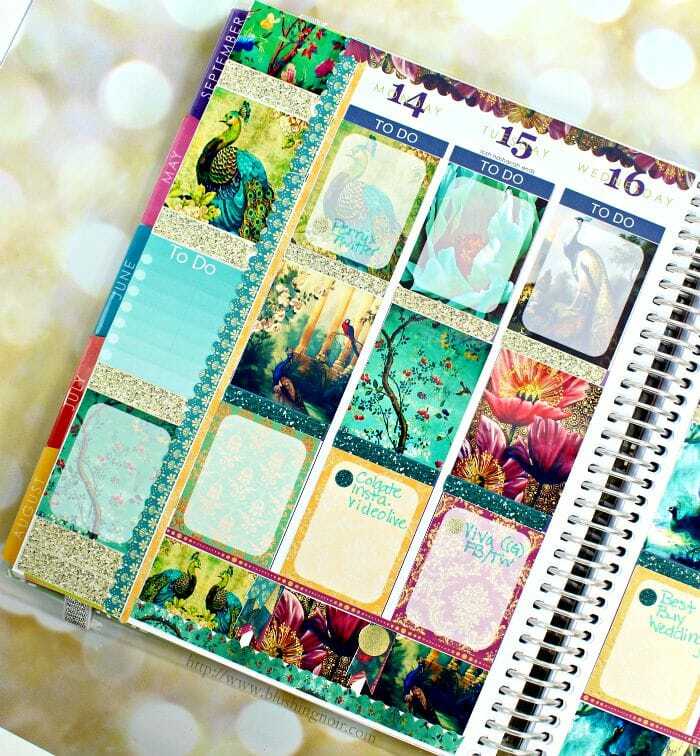 You could use stickers or washi tape featuring peacocks or jewel colours like this spread.